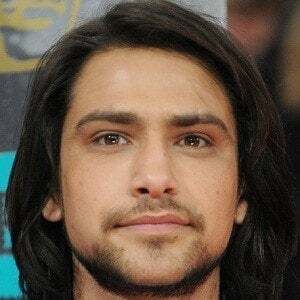 British actor best known for portraying the role of Freddie McClair in the British teen television series, Skins. He has also appeared in the BBC series Musketeers and Our Girl. He auditioned for the part of Tony Stonem in Series 1 of the program, but that part went to Nicholas Hoult. After his run on Skins ended, he was cast in a Warner Brothers horror film and on the BBC historical drama series, The Borgias. His parents are Italian. In 2016, he briefly dated Little Mix singer Perrie Edwards. One of his first major roles was on two episodes of the series, Casualty, which starred Charlotte Salt.